Featuring ball-end construction for faster, easier installation. We’re pretty serious about reporting on serious musicianship. But even we couldn’t resist the downright ballsy silliness of this video. Yes, we admit it…we couldn’t look away! 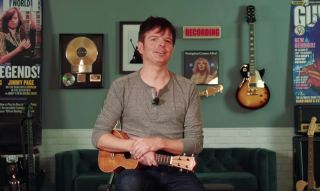 Lesson: LP Shows Us How to Play "Night Like This"
Experimental ukulele? Yes indeed. Here are eight talented musicians who are taking the ukulele to sonic places it's never been before!